For medical device OEMs, the design phase is when a general concept and a list of requirements becomes a detailed plan for creating a potentially life-saving product. While there are several fabrication methods available for making medical devices, injection molding continues to be the dominant method. Its advantages of low price per part, high production volumes, compatibility with many different FDA-approved materials, and its ability to maintain tight tolerances, produces consistent results. Injection molding is a supremely flexible process, but there are a few constraints and requirements that need to be incorporated into the design of any parts made by that process. For medical injection molded parts in particular, we’ve identified the five most important of these design considerations, which we’ve listed below along with our advice for part design success. Part Function: What is it Supposed to Do? All five of these design considerations are interrelated—design choices in one area constrain your options in the other four—but the primary driver of the part design process is ultimately the intended end-use of the medical injection molded part. Are you designing a device meant to remain implanted in a patient for several years, or is the part a knob or button on a monitoring device or life-supporting equipment? Perhaps it’s a patient connected device that is disposable? Each of those uses implies specific operating temperatures, chemical exposure, and applied stresses over the lifetime of a product. Everything from material choice to the shape of the part is determined by this, so having a well-defined list of requirements at the beginning of the design process will not only help your team, but also assist your medical injection molding contract manufacturer with their DFM review and subsequent mold design. Will the Part Need to be Repeatedly Sterilized or will it be Disposable? Single-use products meant to be incinerated give you more leeway with material choice than those that will need to repeatedly withstand the abuse from the sterilization method(s) chosen. Devices that will be steam sterilized will need to be made out of materials that not only have a high melting temperature, but are also highly resistant to both heat and hydrolysis. On the other hand, ethylene oxide (EtO) sterilization requires excellent chemical resistance. UV, gamma, and e-beam methods limit your choices to other materials. 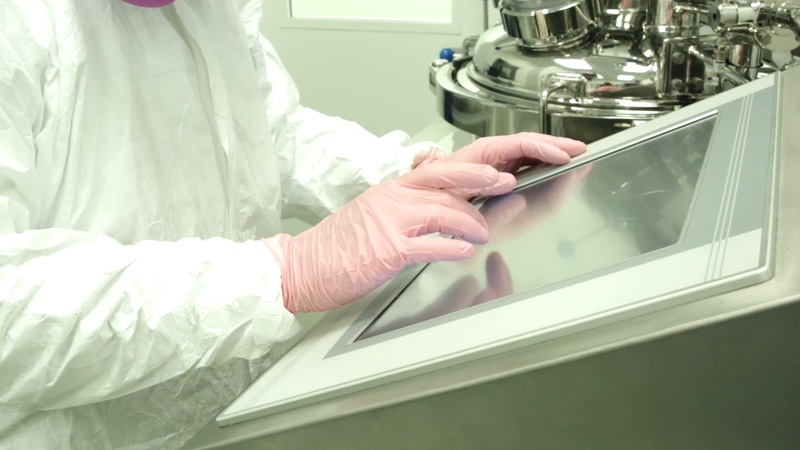 Finally, only a handful of niche materials are suitable for devices which could potentially be sterilized by multiple methods over their lifetime. From liquid silicone rubber (LSR) and thermoplastic elastomers (TPEs) to polysulfone and PEEK, the choices of rubbers and resins are almost endless. With that wide selection of materials come wide ranges of durometers, opacities, biocompatibilities, lubricities, and resistances to heat, steam, radiation, chemicals, tearing, and wear. With overmolding, design engineers aren’t restricted to just one material. A stiff thermoplastic component can be overmolded with soft silicone rubber grip, a popular combination for the product to be mechanically strong yet comfortable to hold. How Easy is the Part to Actually Mold? In order to consistently make high quality parts without exorbitantly expensive revisions, your part design needs to incorporate features such as adequate draft angles, consistent wall thicknesses, and generous radii for perpendicular features such as walls, bosses, and ribs. Furthermore, for parts made with thermoplastics, really thick walls should be eliminated via core-outs. This not only helps prevent sink marks and warping, but also reduces the cost per part since less cycle time is required to fill and cool large volumes, not to mention the material cost savings from the reduction in resin used to pack the mold. Ultimately, medical injection molded parts must be price competitive with competing products already on the market, and affordable enough to provide compelling value over the lifetime of the product. Closely tied to the price per part, is the production volume expected for the tooling. If you are making millions of parts with a single mold, it’s easier to justify more expensive mold materials (like hardened steel) and features like hot runners for thermoplastic molds and cold decks for LSR. Multi-cavity molds may require a larger upfront investment, but also pay for themselves in the long run due to time and material savings. Having processed many medical injection molded parts from initial concept to finished product, ProMed’s medical device design expertise can help your engineering team avoid common pitfalls, improve your product, and ensure consistent, high quality results. For medical device OEMs, the design phase is when a general concept and a list of requirements becomes a detailed plan for creating a potentially life-saving product. While there are several fabrication methods available for making medical devices, injection molding continues to be the dominant method.